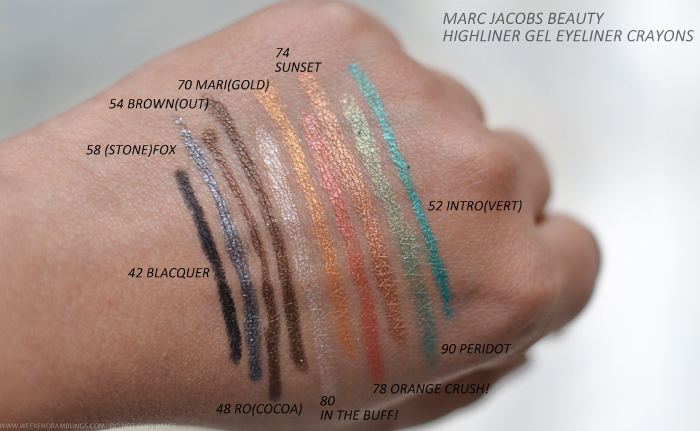 While I haven't picked up any of these yet, the Marc Jacobs Highliners/gel eyeliners have definitely been on my wishlist for ages now. 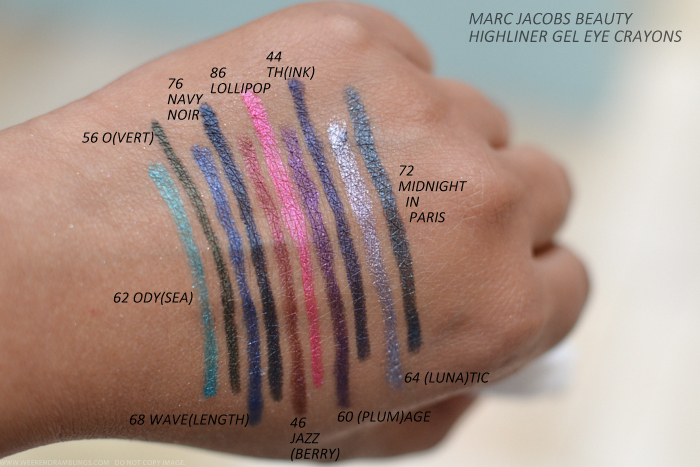 I love the colors, love how pigmented and smooth these liners feel, and every time I have swatched these I have had to use a heavy-duty makeup remover to get these stubborn liners off my hand. 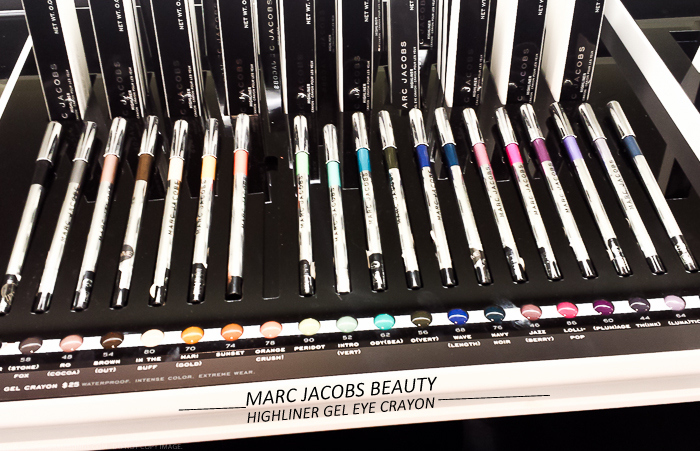 Do give these a try if you are on the lookout for a long-wearing eyeliner (especially if you have oily eyelids like I do).